The 2018 PULSE poster session winners celebrate their prize-winning presentations. Three high school students sat in the front row of a Penn State College of Medicine lecture hall and listened to Madison Goss. They actually paid attention. That can be rare in a room full of teenagers, Goss has found — even well-accomplished ones handpicked to be part of college-level program designed to introduce potential doctors and nurses to the field. “These students were so attentive to my lecture and weren’t playing on their phones or computers like some of their classmates,” she said. The image stuck with Goss, who wanted these students, in particular, to hear her. Though she was excited about working with all 100 participants, the three girls had been part of a new group. The Office for Diversity, Equity and Inclusion had provided transportation so they could participate in the PULSE program. The office works to increase diversity at Penn State Health and Penn State College of Medicine. The rides to the Hershey campus are helping the program get back to one of its key goals — helping a greater variety of people learn about medicine. Goss had fallen in love with teaching just before enrolling at Penn State College of Medicine. And teaching students in the PULSE program was a homecoming of sorts. She had been a student in the 12-week course as a senior at Mechanicsburg Area Senor High School and knew from experience how it changes lives. Established in 2008, PULSE is the College of Medicine’s educational outreach program for high school students. In 2018, it became one of the programs coordinated through the Office of Diversity, Equity and Inclusion as a diversity pipeline program. 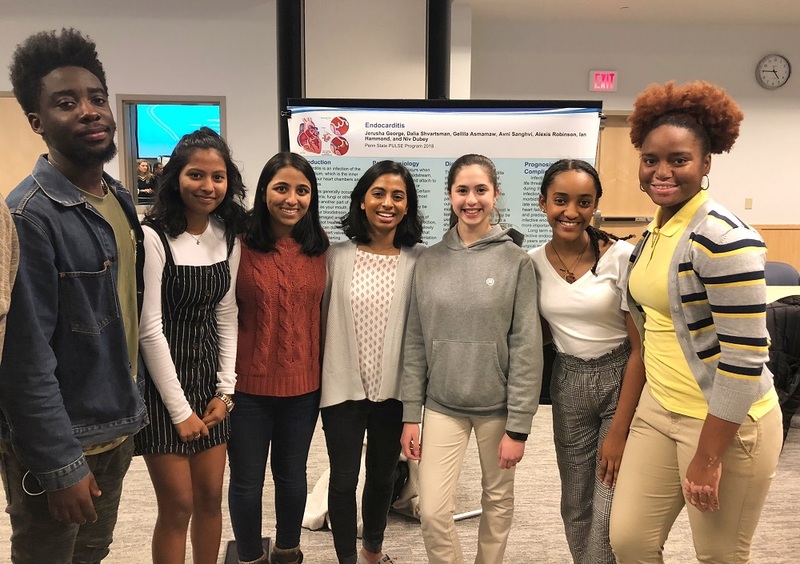 Seeking to excite their interest in biomedical sciences, the semester-long course is taught at Penn State Health Milton S. Hershey Medical Center by medical students like Goss and gives teens up-close, hands-on experiences at the research hospital. “As we are advancing our organization’s commitment to having a more diverse workforce to reflect the increasing diversity of our patient population, our high school and college pipeline programs also need to reflect greater diversity,” said Lynette Chappell-Williams, chief diversity officer and associate dean of diversity and inclusion for Penn State Health and Penn State College of Medicine. Read the complete story on Penn State Medicine.